What’s It About? 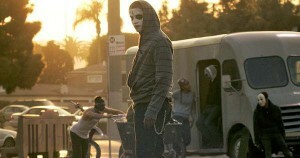 It’s 22 March 2023 in America and time for the annual purge! For one night a year all crime, including murder, is legal for 12 hours – allowing American citizens to cleanse themselves of the hatred and anger that has built up over the previous year. Tonight a couple find themselves stranded on the streets when their car breaks down just as the annual purge begins, a police sergeant hits the streets in order to carry out a revenge attack, and a woman and her daughter are forced to run into the night after their house is broken into. Verdict? As seen with the first film, the concept of The Purge is incredibly fascinating and paves the way for all manner of madness, violence and terror to be handled in a believable and relatable way. Whereas the first installment was confined to the house of a wealthy family, The Purge: Anarchy takes to the streets – opening the doors to so many new and horrifying possibilities and characters. The film tracks three separate groups of people – a couple with a broken-down car, a mother and daughter forced to leave their home, and a vengeful police sergeant – who all cross paths and unite together when they find themselves on the streets on purge night. With a strong and steady pace throughout, there is time dedicated to getting to know each of the individual characters before the annual purge begins, and although one or two of them are quite flawed and borderline irritating at this stage it is a relief that when all of the characters are together they strike a near-perfect balance. The strong balance between the characters makes the film enjoyable to watch and also makes the audience actually care about their plight, an aspect which was arguably missing from the first film. Frank Grillo especially adds a particular strength to his role of the natural leader as the police sergeant and he soon becomes a lovable antihero that the audience back with gusto. Similarly to the first film, much of the horror comes from the gore and brutality of humanity rather than jumps and scares, which does make it seem all the more real. However, again just like the first film, director James Demonaco appears to lack faith in the brilliance of the concept and instead throws in too many far-fetched (and sometimes downright ridiculous) twists and turns in a bid for shock value. Whilst it is nice to get a greater insight into the way different social groups ‘celebrate’ purge night, some of the big surprises in the film were actually to its detriment and Demonaco once again needs to realise that a simple story on this night would probably far more effective than trying to be too smart – the concept alone is clever enough! Nevertheless the film is consistent and although there are a few aspects that are a little difficult to fathom, such as the amount of machine guns and sadistic games that we’re privy to, The Purge: Anarchy never falters enough to make unpleasant viewing, with a strong list of characters being one of the primary reasons for this. As well as being an entertaining watch the number of characters also means there is much more to the storyline than whether or not they will merely survive the night. There are some interesting dynamics in the different relationships, backgrounds, and how they grow as the night progresses that ensures the audience will never lose interest, which is certainly a natural progression from the first film. 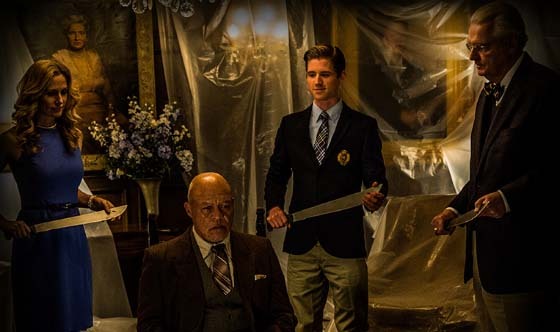 Final Words: The second installment of The Purge is arguably stronger than it’s predecessor with a variety of well-rounded characters each adding a new dimension to the story. Bringing the film to the streets on Purge Night is a big step forward from the confines of a house as it paves the way for even more fear, bloodshed and terror than the first. However, Demonaco needs to have more faith in the brilliance of the concept as the film’s strength stems from this simple idea whereas the constant twists and surprises that the film throws in take away and cheapen the story. 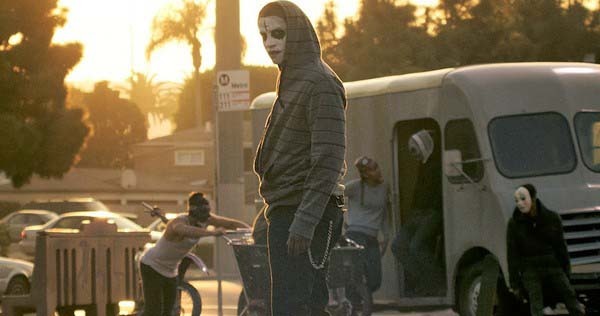 The Purge: Anarchy (15) is in UK cinemas from 25 July 2014.